If one thing is for sure it’s that there was no shortage of stunning weddings featured on GWS this year! 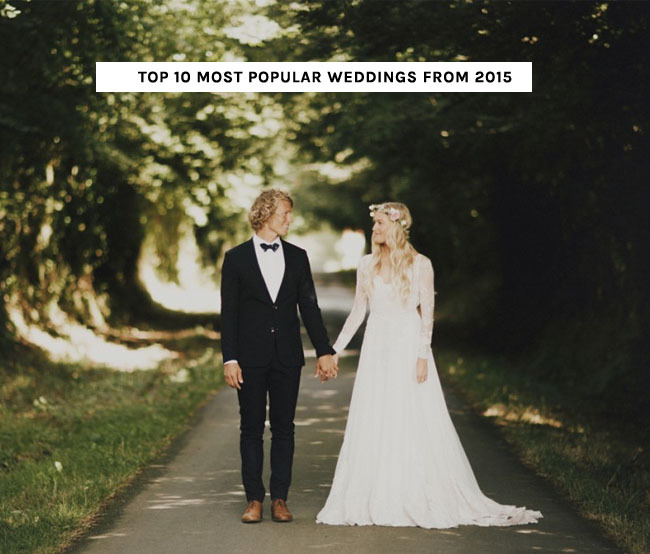 There were celebrations of all different styles and we loved how they each showcased how creative Green Wedding Shoes couples really are :) To kick off our week of rounding up the best-of-the-best of 2015, we’re excited to share the Top 10 Most Popular Weddings from the past 12 months! These weddings were the most viewed, shared and commented on – both here and on our Pinterest, Facebook + Instagram! Our GWS team feels so lucky to get to share the amazing work of creative brides + grooms and talented wedding artists every day. We saw eclectic warehouse weddings, romantic outdoor nuptials, lots of stunning elopements + plenty of perfect backyard affairs. 2015 was filled with so much beauty that it makes us pretty excited to see what’s in store for 2016! 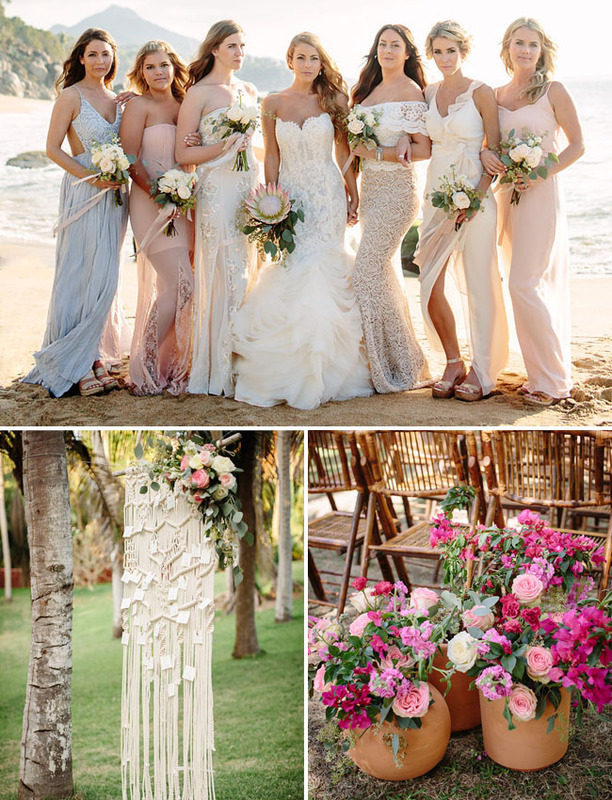 This Bohemian-Luxe Sayulita Wedding was one of our most pinned of the entire year thanks to its macrame details, bougainvillea-filled florals + perfectly pastel bridal party. When you can’t find a barn big enough for your 350 guests, you MAKE one! 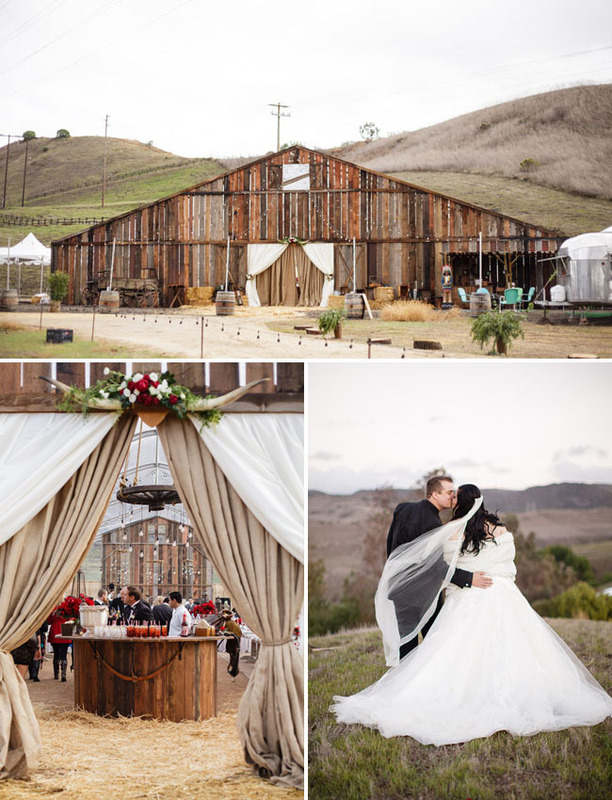 It’s easy to see why this Elegant Pop-up Barn Wedding designed by Crosby + Jon, was on our most popular list! As far as surreal locations go, the middle of the Pacific Ocean is one of the tops! You loved this Intimate Sandbar Wedding in Hawaii as much as we did and it comes in at #8 on our list! 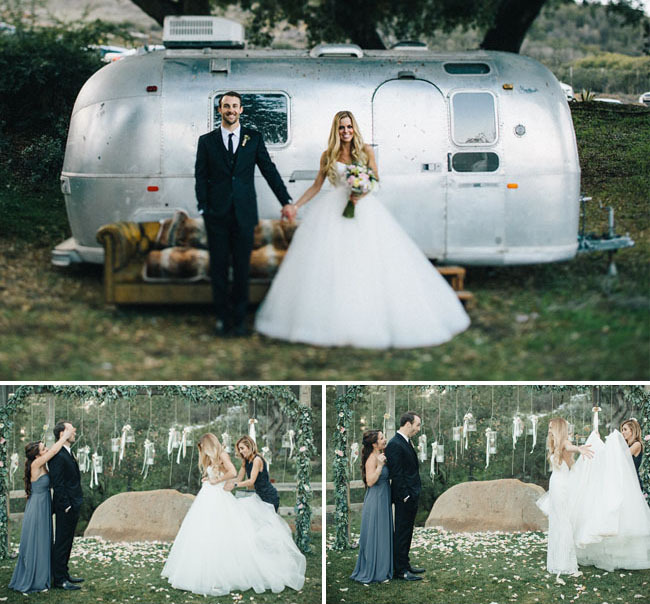 Our fashion-focused brides were all about the dress transformation from this super sweet Rustic Temecula Ranch Wedding! 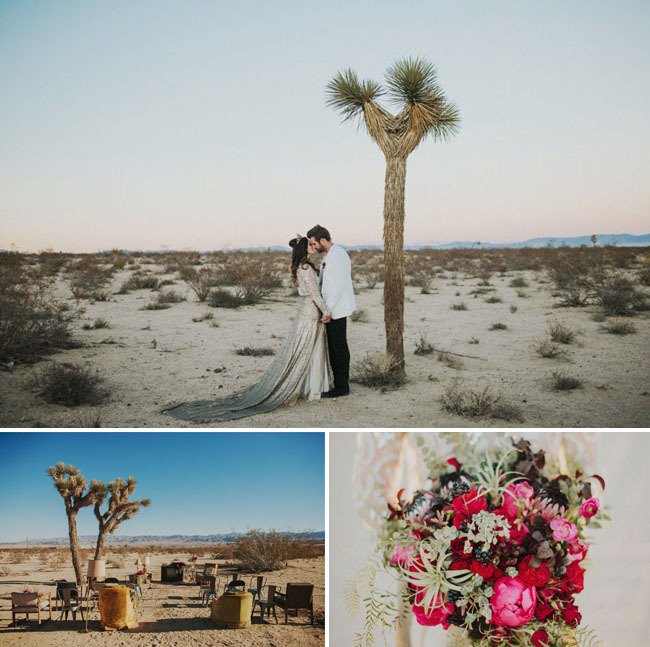 A vintage TV set backdrop, a gold sequin skirt, killer florals, and a laid-back vibe helped set this Eclectic Joshua Tree Vow Renewal apart from the pack. 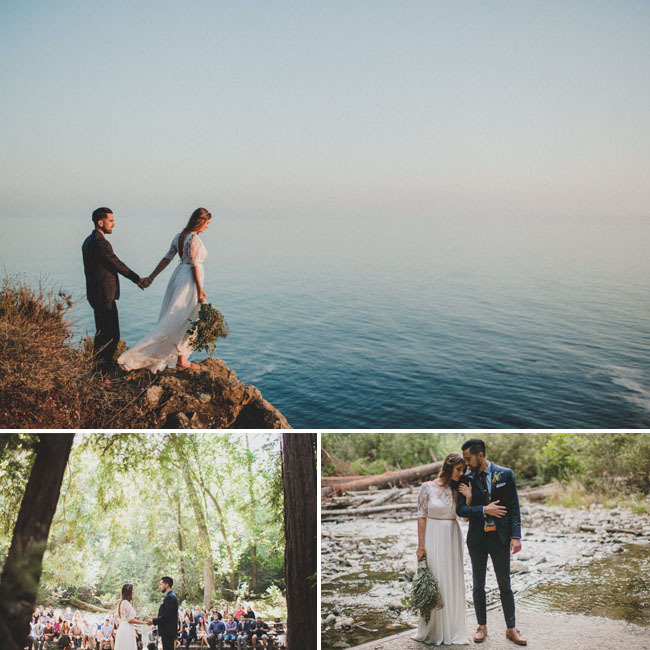 It was all sweet moments + epic views from this Bohemian Big Sur Wedding! 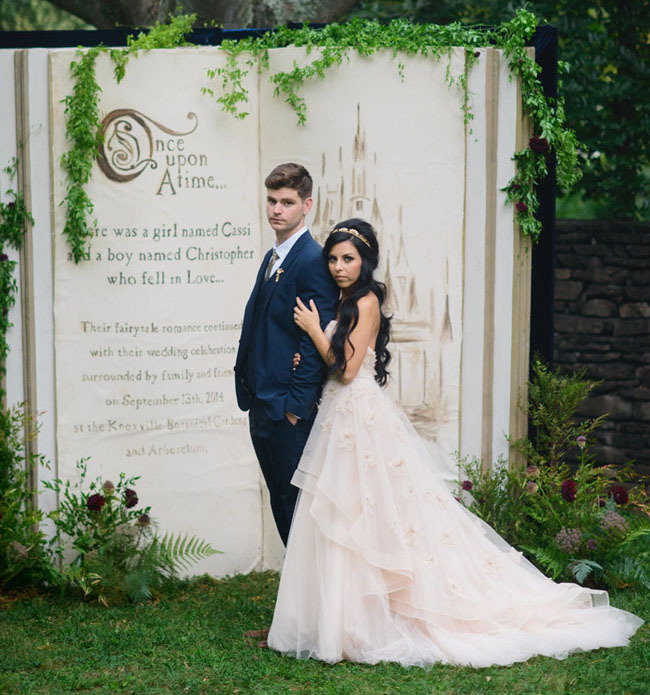 It was no surprise that this Fairytale-Inspired Wedding made the most popular list! 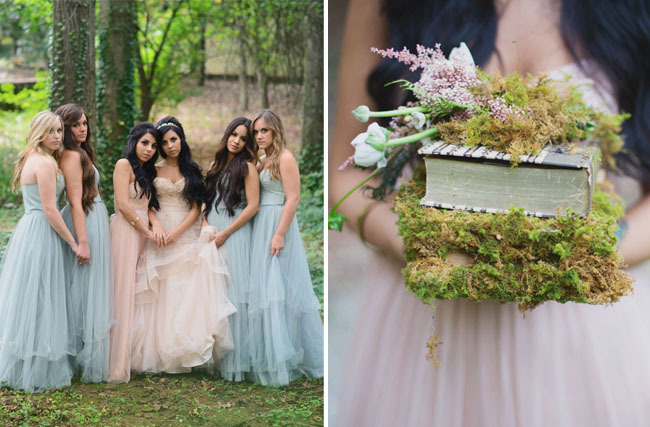 One look at the magical details, ethereal dresses, and creative photos proves that going with the right theme can really pay off! This gorgeous bride wore one of our most pinned wedding dresses of all time, but that’s not the only reason her Modern Chic Brooklyn Wedding made our list. There were lots of sweet moments + gorgeous details, too! 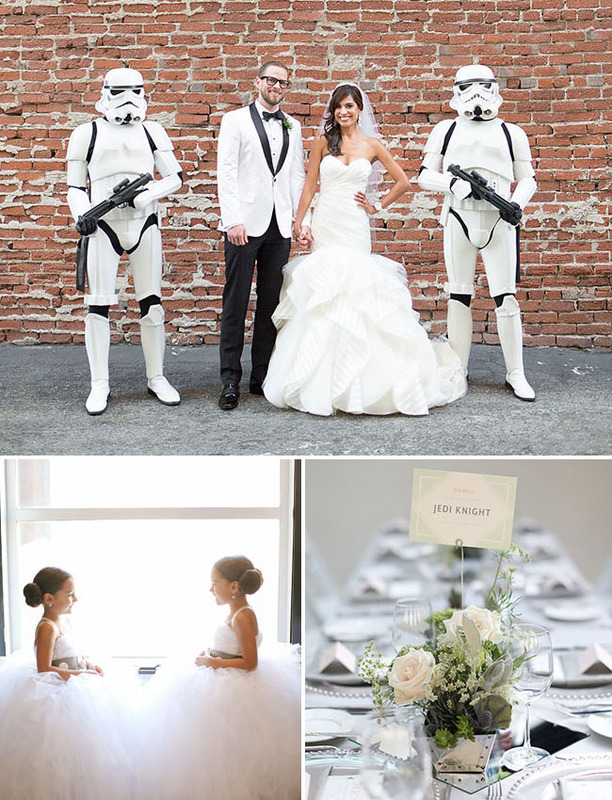 With the recent release of the latest Star Wars film, this bride + groom’s Star Wars Inspired Wedding is sure to inspire other couples who are just as crazy about the beloved franchise! 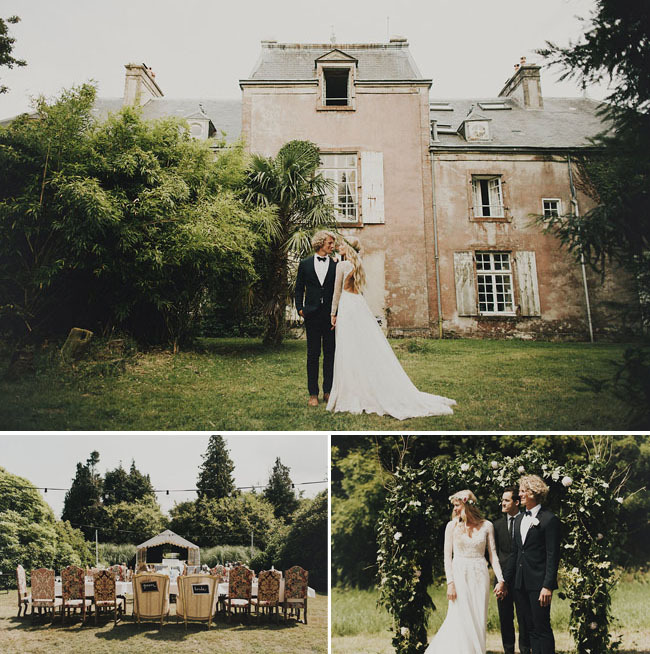 It was really no surprise that this Laid Back French Chateau Wedding made #1 on our list! Between the backdrop, the bride’s dress + all the sweet details, it was hard not to fall in love! In just a bit we’ll be sharing a super festive New Year’s Eve editorial, and stay tuned throughout the week for more fun round-ups, including the best bouquets, engagement sessions + cakes of 2015! We love her dress style and color. This white pumps are gorgeous! Take a peek here http://www.kelyashoes.com/index.php?id=62&pid=513 The best shoes from Portugal.